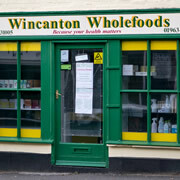 Steve Stapleton of Wincanton Wholefoods has announced his business will close its doors for the last time at end-of-day on 27th October. Make sure to pay at least one final visit to stock up on your favourite products, and use up your loyalty points. 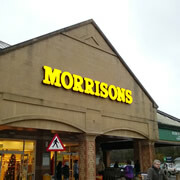 Morrisons in Wincanton is currently closed due to an alleged water leak. There was a growing tailback of vehicles from the site entrance out beyond the roundabout. UPDATE: They're open again. At the end of 2017, Wincanton residents were saddened to hear that Mrs Pam Cave had passed away. 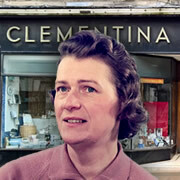 Better known to many as the owner of Clementina, you may not know about her family heritage, and the contribution she and her family made to the town. Going the extra mile this Christmas, The Lovington Bakery will be open for business on Christmas Eve (Sunday 24th) between 8am and 12 noon, but you'll want to pre-order to ensure that you get what you need! 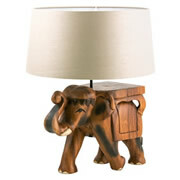 12th August is World Elephant Day. In support of this important cause, Myakka will be donating 10% of the sales value on any of its full-price elephant products sold during August to the World Elephant Day charity. 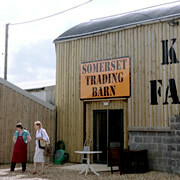 The Kimber family is opening a new trading area in the Dutch barn next to their popular farm shop. The Somerset Trading Barn will be officially opened on Sunday 30th July by local journalist and food writer Fanny Charles. 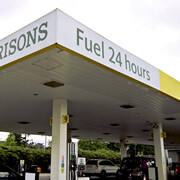 Drivers can now buy fuel at Morrisons in Wincanton 24 hours a day, seven days a week, as part of a plan to upgrade its fuel services throughout the UK. 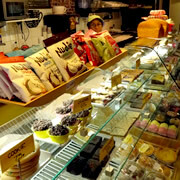 The kiosk will still close at 11pm nightly, though. On Friday 2nd December many Wincanton High Street traders will be keeping their shops open till 7:30pm, so residents and visitors can enjoy some late night Christmas shopping. But that's not all that'll be going on in town that night. 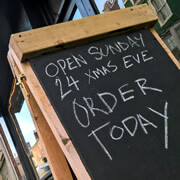 Sunday the 20th of November is traditionally ‘Stir-up Sunday’. The tradition goes back to Victorian times where the family would gather together to stir the pudding 5 weeks before Christmas. 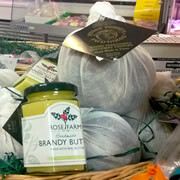 At Kimbers Farm Shop we have all the ingredients you need for your Christmas Pud. 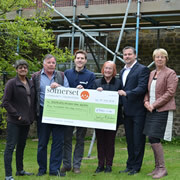 The Myakka Grass Root Fund has been set up to help the Somerset Community Foundation promote and support vibrant, inclusive communities within South Somerset. Bayford Chapel is the most recent project to benefit. Lifestyle Landscapes has opened a small gardeners' centre in Wincanton called The Growing Medium. 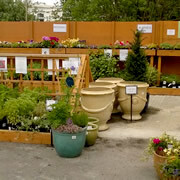 It’s just off Bennetts Field Trading Estate, selling a range of plants compost sundries and tools. 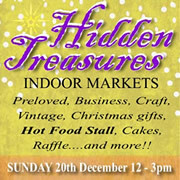 Come along for some shopping and a browse at the 30+ stalls at the next Hidden Treasures Indoor Market. 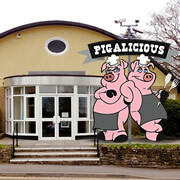 Hot food will be served by Pigalicious, and then you could try something sweet from The Art Of Cakes! 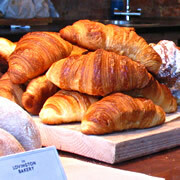 With a growing reputation for excellence, Chantal and Alan Wedderburn have been providing us with a wonderful range of freshly baked, hand-made bread, scones, cakes and pies and the tastiest of lunch time sandwiches and snacks prepared on the spot. 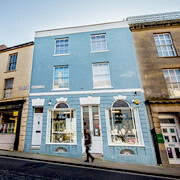 One of Wincanton’s finest town centre buildings has a new lease of life as the shop and workshop for goldsmith Alex Appleton – if you haven’t yet looked into the beautifully refurbished former chemist’s, this is the week to do it. 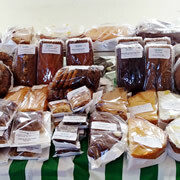 Wincanton Country Markets’ first monthly market for 2016 takes place on Friday 5th February, selling homemade baked goods, preserves, locally grown market vegetable and fruit, plants and handmade crafts. 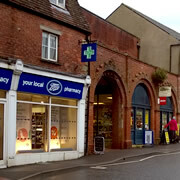 It was recently posted on social media that Morrison’s store in Wincanton was under threat. 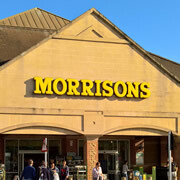 Morrison’s press office has confirmed to us that although seven branches are due to be closed in the UK, Wincanton’s store is not one of them. Having worked right up to the last minute to be ready for their opening before Christmas, business for Wincanton’s newest High Street venture, The Lovington Bakery, is brisk and its produce has been heartily received by customers. Hidden Treasures is a regular indoor market that takes place at the Wincanton Memorial Hall, with a variety of stalls to browse and refreshments, too. 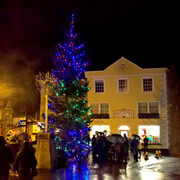 Visit Father Christmas in his Grotto at the next market on Sunday 20th December!